Size: Dimension (CM) 30 X 15, Product Weight 550gm approx. 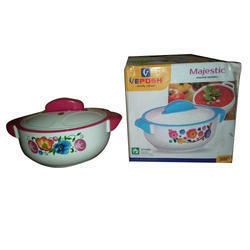 We are a renowned and manufacturer of a wide range of harmony casseroles. These bath ensemble pieces have sleek, simple lines and a contemporary shape to add a modern look and feel to your decor.The nickel plated metal accents add a modern and subtle look to the collection and compliments the high quality polyresin body perfectly. A great way to bring a unique look to your home. 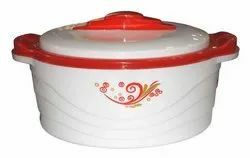 We are engaged in manufacturing wide range of Casserole.